Cowgirl on Vine--Perfect Downtown Location! 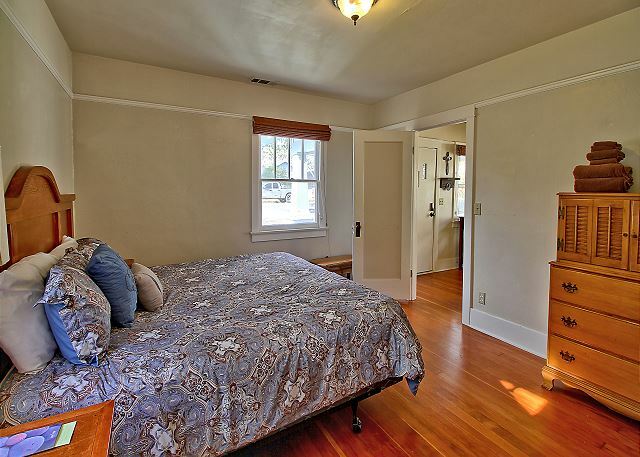 Cowgirl on Vine is 2BR/1BA home in the 1400 block of Vine Street in downtown Paso Robles. Perfectly located in a classic Paso neighborhood, within blocks of the park in the heart of downtown, which is surrounded on three sides by wine-tasting rooms, gourmet restaurants, boutique shopping, and much, much more! 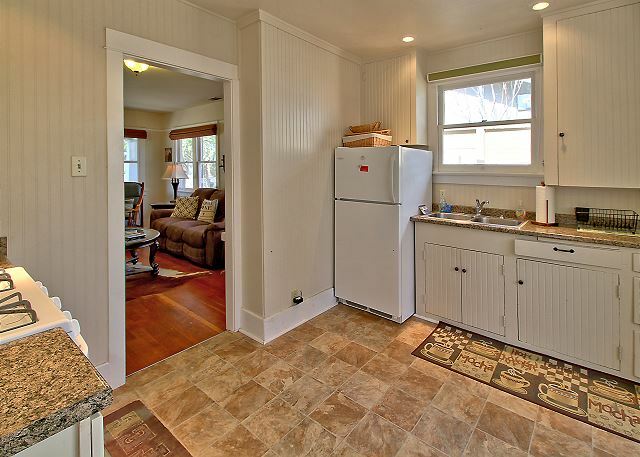 This lovely little home features a jack-and-jill bathroom shared with direct access from both bedrooms. 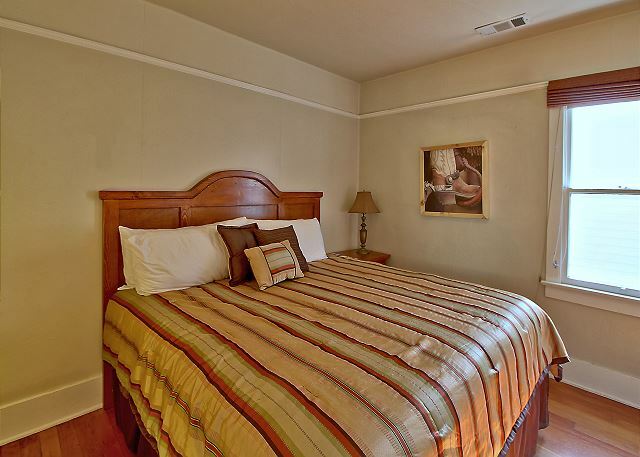 King size beds in both rooms so you can stretch out after a full day of exploring the nearby wineries, distilllery trails, farmers markets, art studios, neighboring beaches within 30 minute drive and all the Central Coast has to offer. Basic kitchen features period cabinetry and original wood wall paneling for a cozy, authentic effect. Sit on the craftsman-style front porch with bench to end your wine-tasting day enjoy your favorite, local finds. Enjoy small-town living in this very walkable neighborhood! (This pet-friendly home accepts both dogs and cats.) Paso Robles Vacation Rentals® is your local expert! Please contact us with questions about restaurants, wineries and fun things to do on the central coast! We would have given this five stars, but upon arrival there was an awful smell coming from the sink. We tried several different methods to eliminate this problem but finally on Sunday called. They were very responsive and sent a plumber on a Sunday afternoon. He replaced parts in the garbage disposal which immediately fixed the problem. We also ran out of several paper products which they promptly delivered. I think these problems could have been avoided with checking of the unit prior to guest's arrival.